Yep, we all love those fancy Xlerator hand dryers. Hand towels, you say? What a ghastly thought – why do you hate the environment anyway? Feel the power! 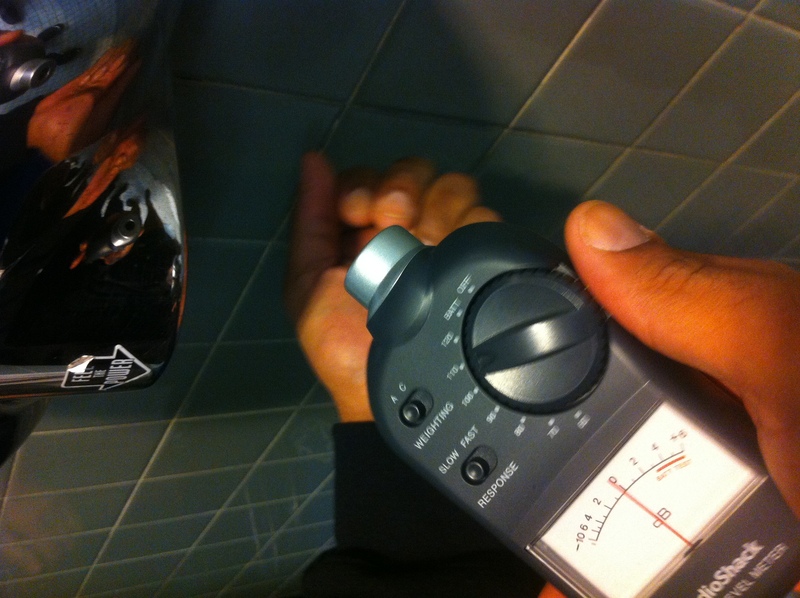 The power of 110 A-weighted dB-SPL hitting your eardrums the whole time you’re in the bathroom! No, but seriously. The sound of these machines running constantly at close distance should bother you. Especially when that one guy tries to scorch every droplet of water on his body. My recommendation: use sparingly, or avoid if necessary. Paper towels are better than a damn deafening concert level performance cacophony when I can’t think or pee due to the pain of some fool dryer in my ears by somebody with music earbud in his ear! Follow @DanHodd for updates, or subscribe with your RSS reader.